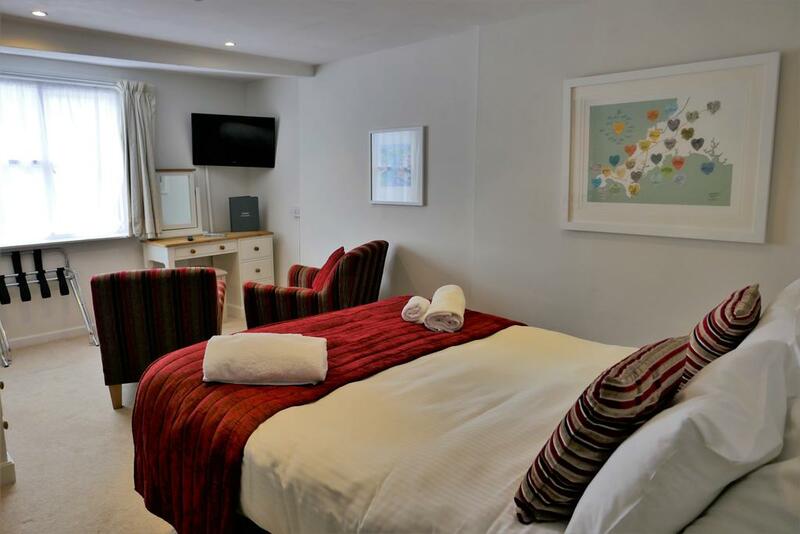 The Marazion Hotel has eleven en suite rooms, all with calm tones, contemporary style and an attention to detail. 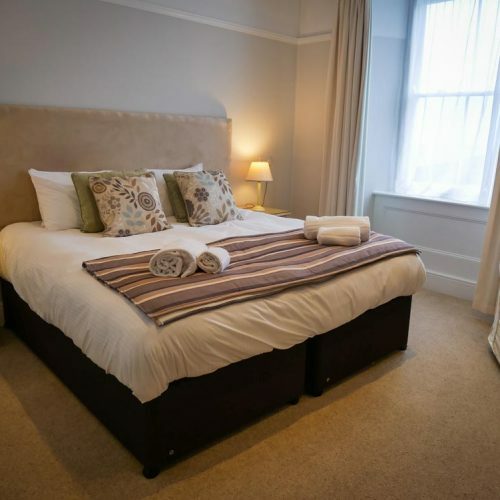 All rooms are centrally heated with colour TV, tea/coffee making facilities, hair dryers and free fast Wi-Fi. A laundry service is available. A large free car park is available for all our guests. 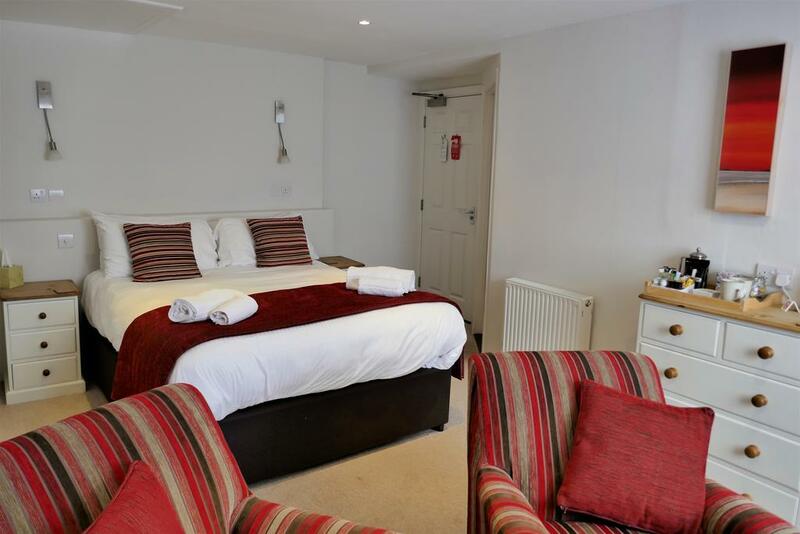 We have a beautiful guest lounge perfect for relaxing in at any time of day. Sorry, dogs cannot stay in the hotel. A cooked and continental style breakfast is included in all room rates. You can choose from a variety of teas, juices, fresh fruit and cereals as well as a traditional full English breakfast cooked to order. The perfect start to the day. 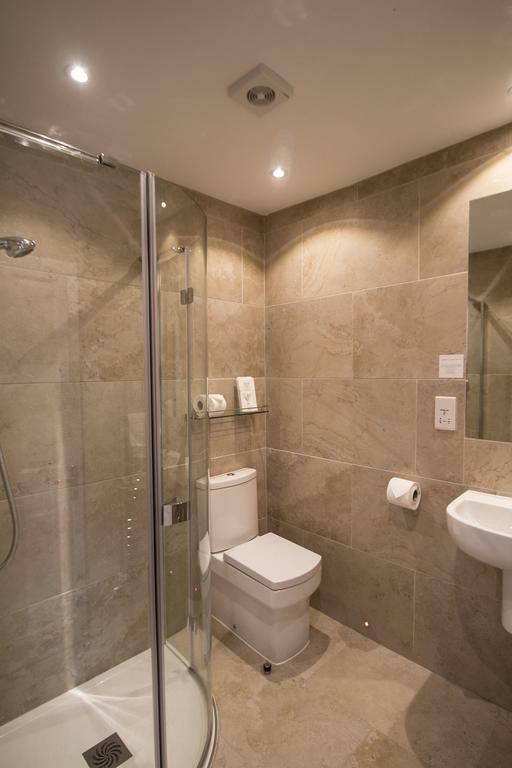 A large room with an ensuite. One 6ft wide Super King Size double OR two 3ft single beds. 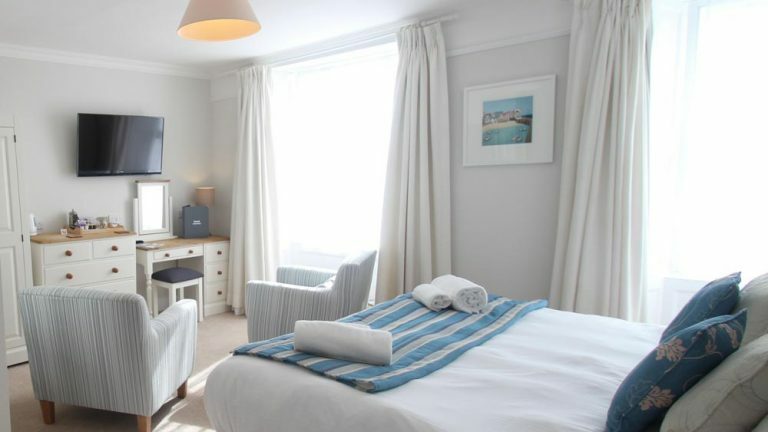 Located at the front of the hotel with sea views of St Michael’s Mount and Mount’s Bay. Size 20 square metres / 215 square feet. Non-smoking. 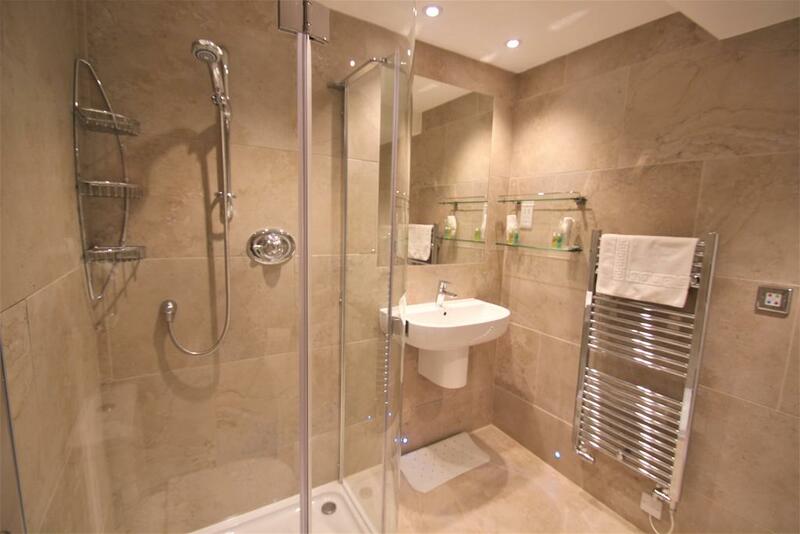 A two bedroom suite with separate private bathroom. 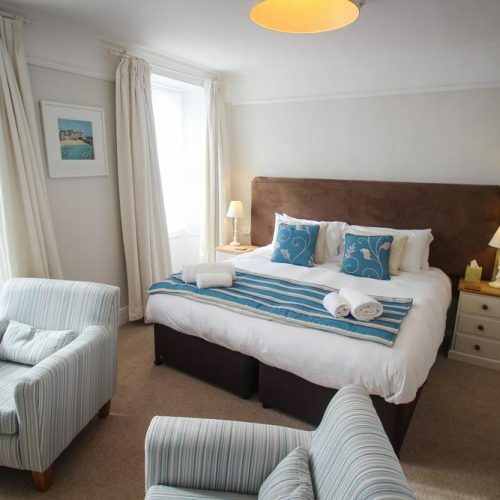 The main bedroom has a 6ft wide Super King Size double bed and is located at the front of the hotel with sea views of St Michael’s Mount and Mount’s Bay. 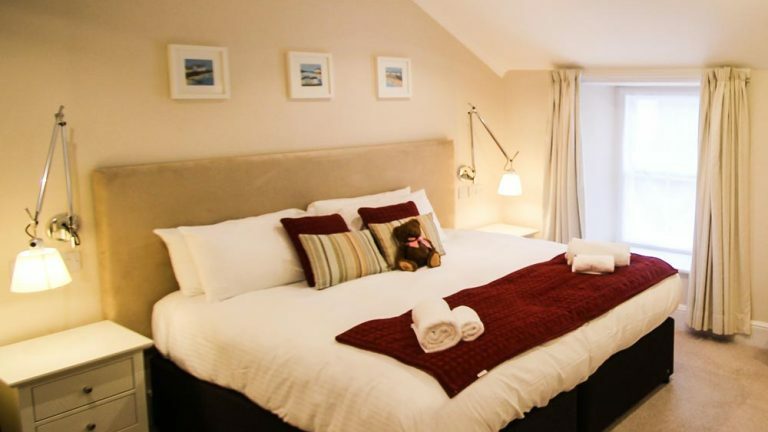 The adjoining room has a bunk bed suitable for 2 children. Non-smoking. 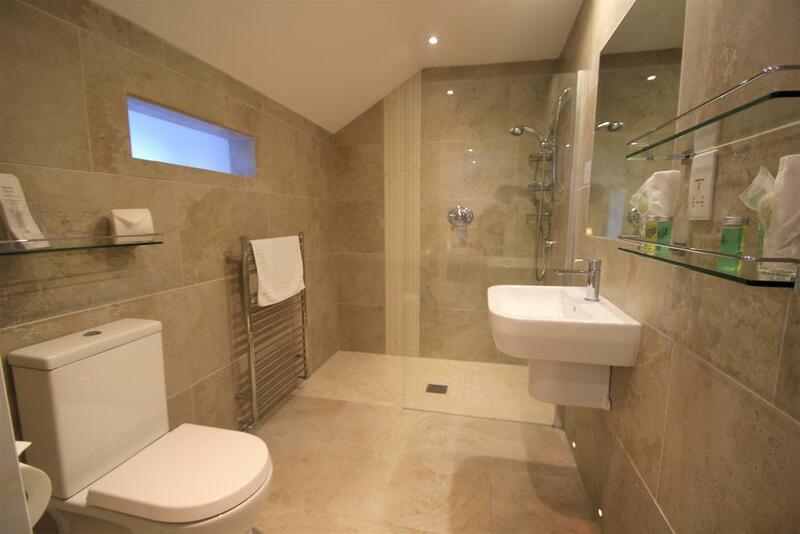 A small room with an ensuite. 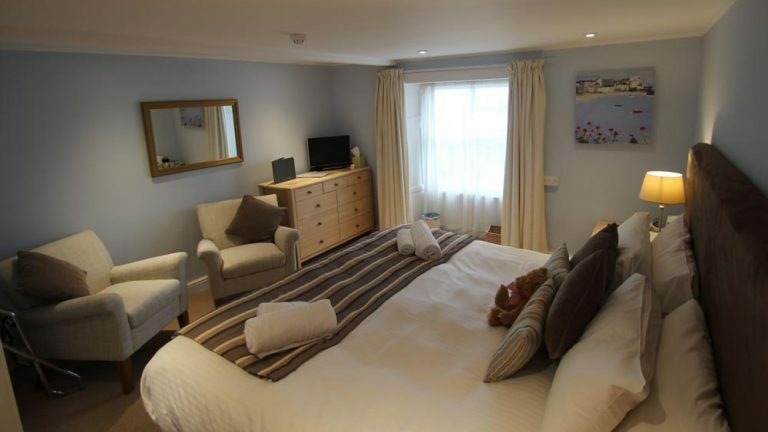 One 5ft wide King Size double bed or 2 3ft wide single beds. Located at the rear of the hotel. Size 15 square metres / 160 square feet. Non-smoking. 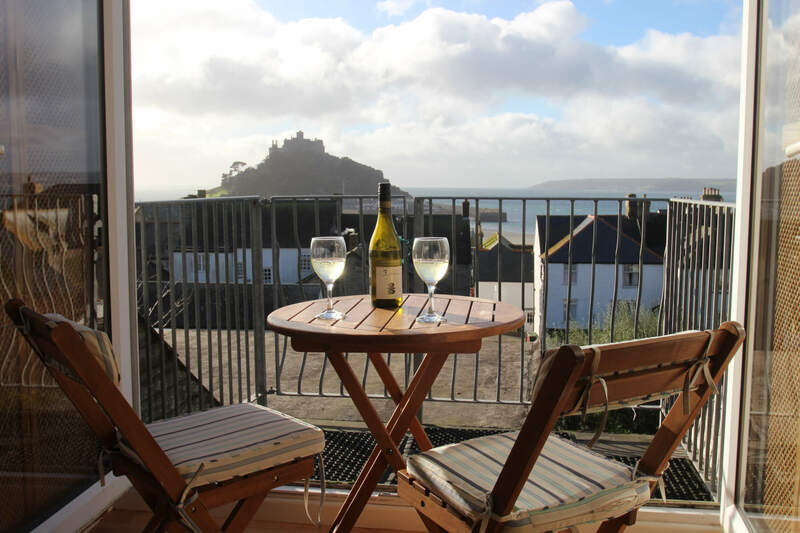 If you’re looking for self-catering accommodation in Marazion, why not visit mountviewmarazion.co.uk? 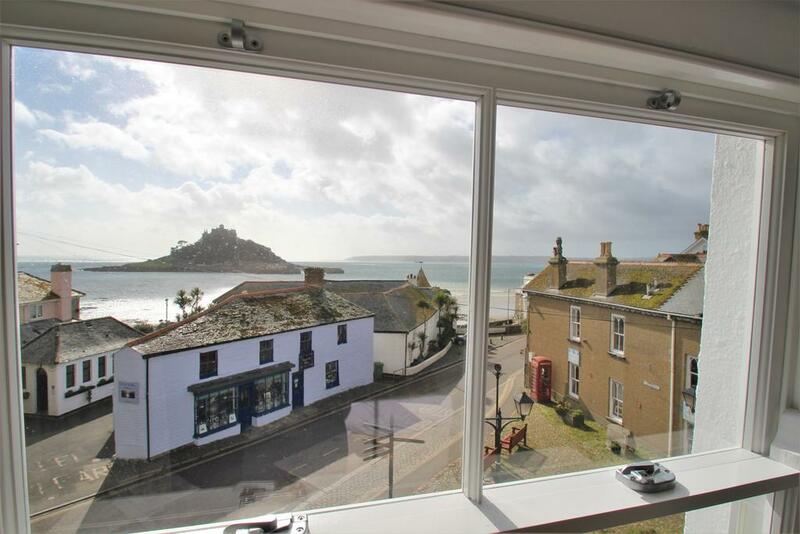 Family-run by the owners of the Marazion Hotel, Mount View sleeps 6 in contemporary comfort with stunning mount views.